2. Click on the ‘Payment’ tab in the left column. 3. Click on ‘Show Details’. 4. 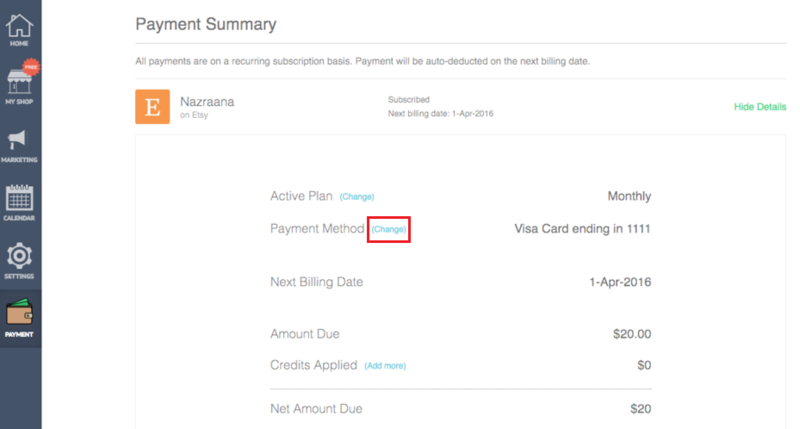 Click on ‘Change’ next to 'Payment Method' and follow the instructions.